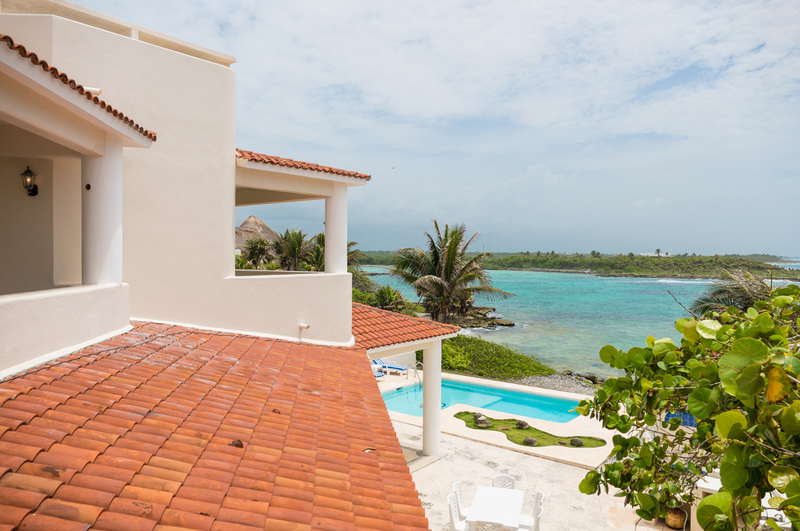 Casa de los Suenos is located on the Caribbean with one of the most incredible views I’ve ever seen! 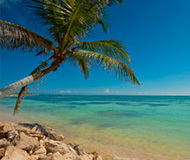 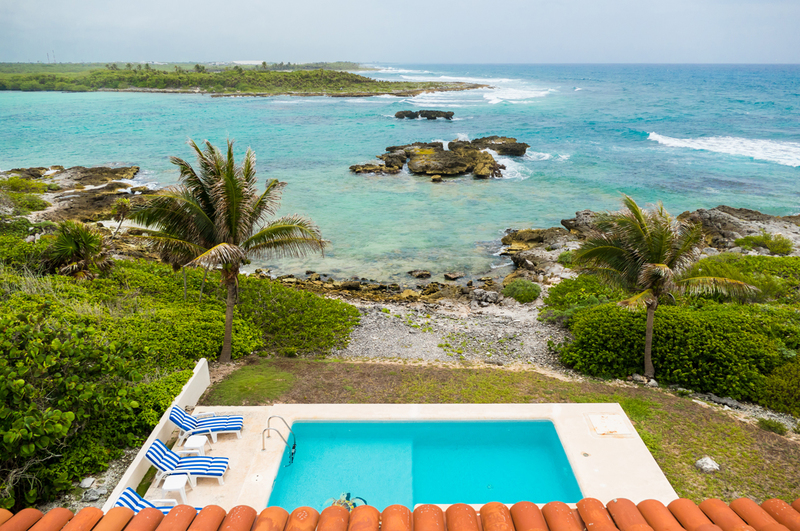 When swimming in the pool you’ll be looking not only at the gorgeous Caribbean coastline and aquamarine ocean, but also at a small uninhabited island! 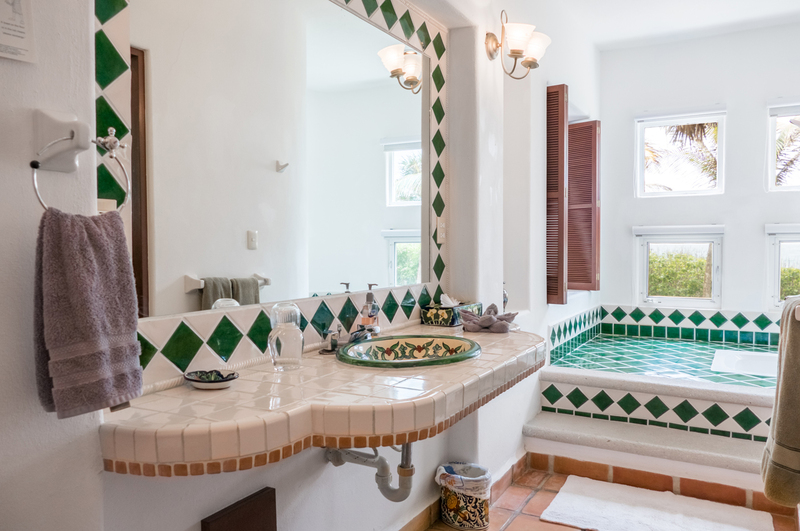 This house has the charm, beauty and unbelievable privacy that you thought no longer existed in our busy world - it doesn’t even exist in most vacation spots! 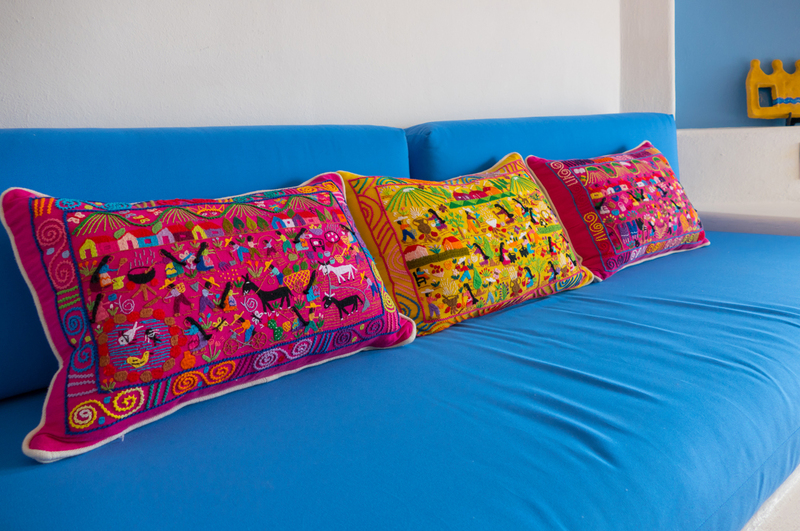 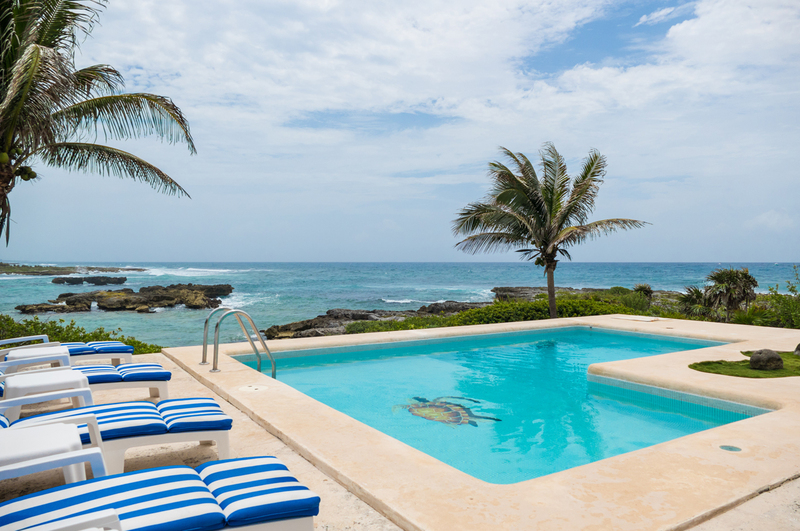 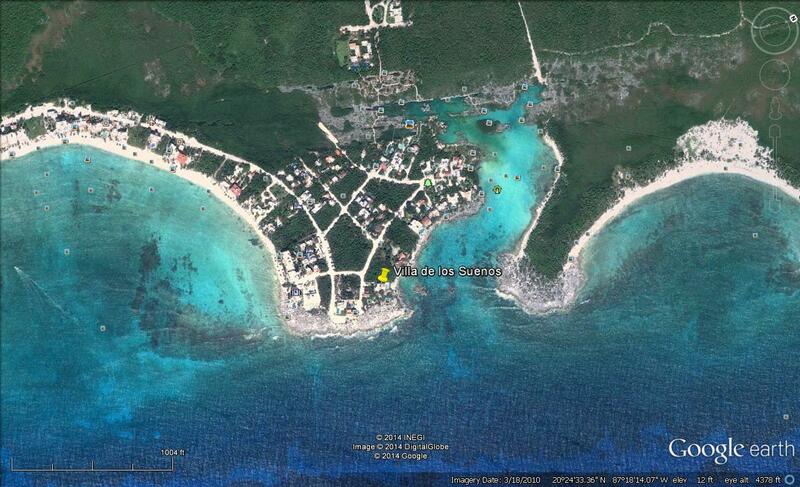 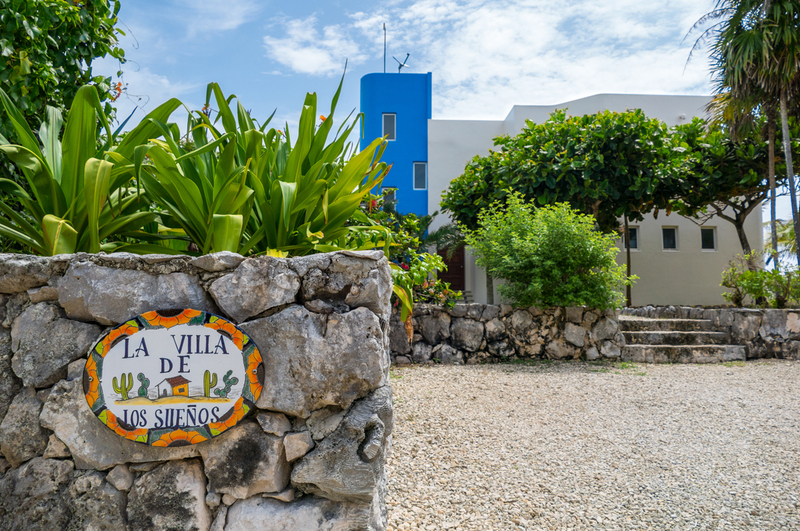 Villa de los Suenos is 20 mins to Tulum, 15 minutes from Puerto Aventuras and 30 mins to Playa del Carmen, by car! 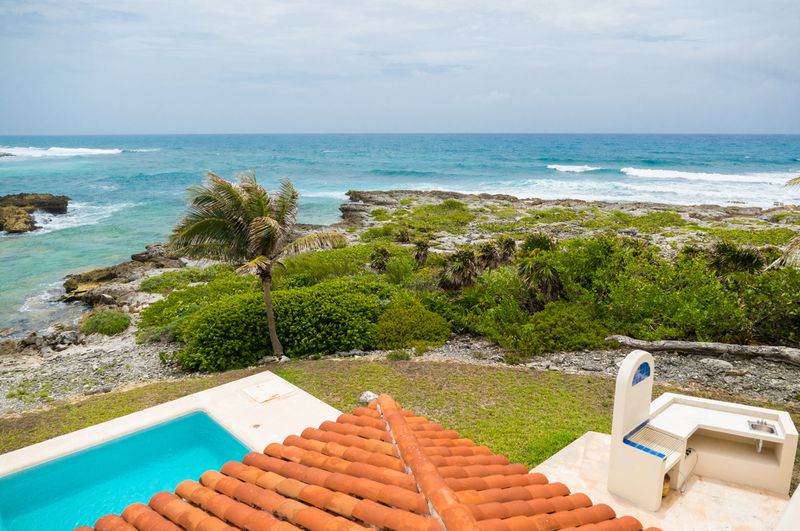 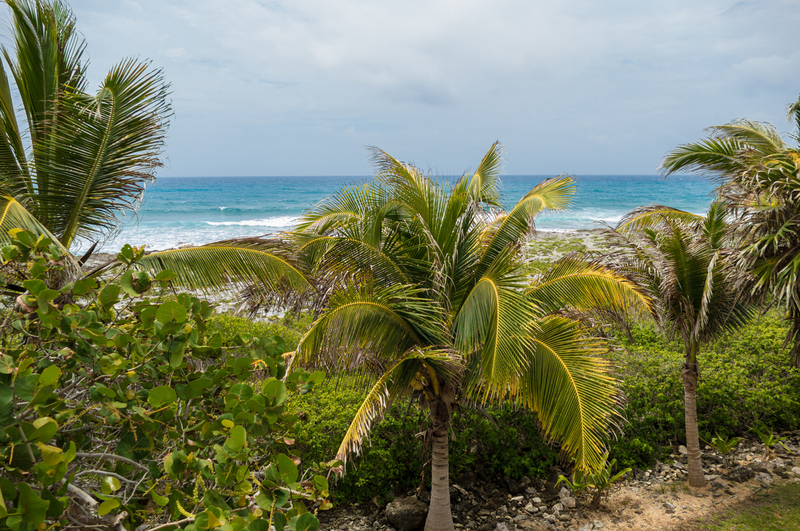 Besides offering seclusion and privacy, Suenos is a short walk to two of Akumal’s restaurants and to the well-known Yal-ku lagoon where you can snorkel in sparkling water with beautiful tropical fish. 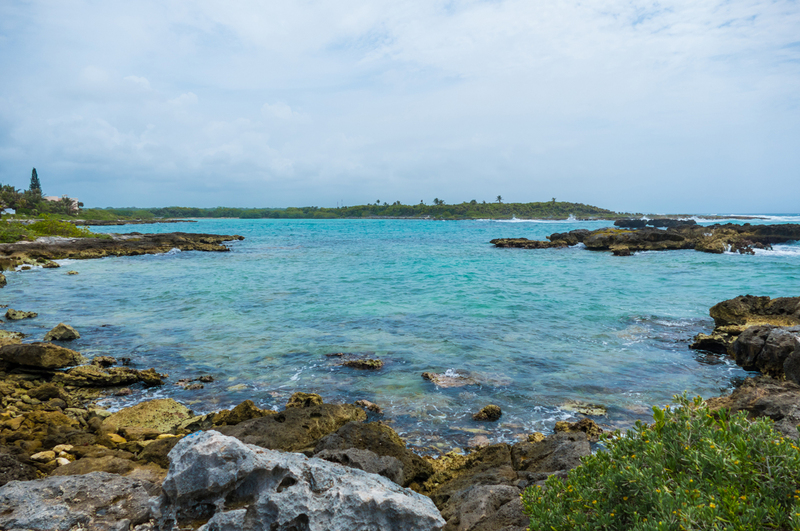 This lagoon is also just a short swim from the private beach at Casa de los Suenos - incredible! 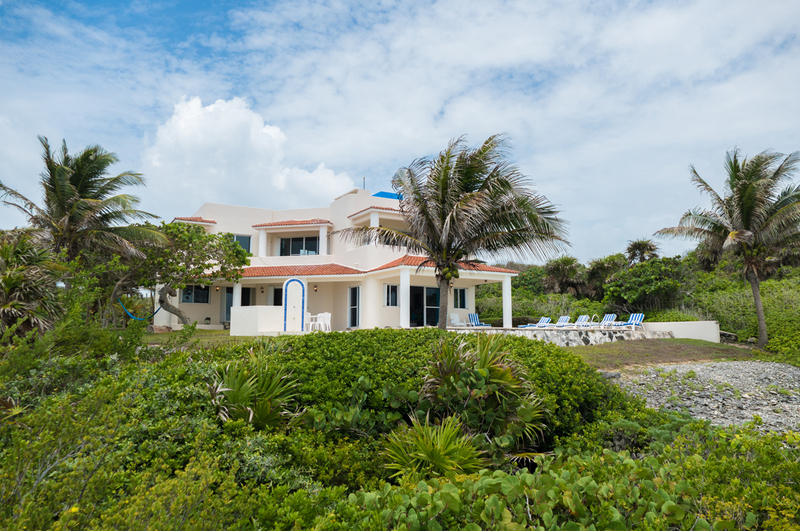 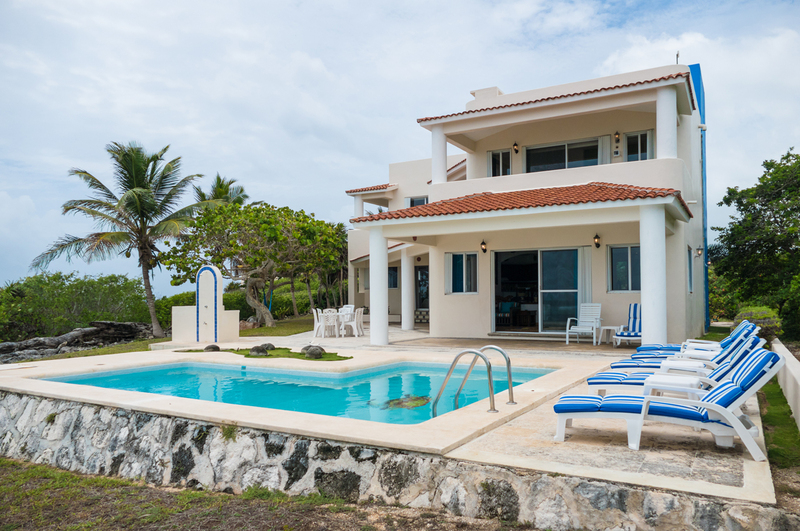 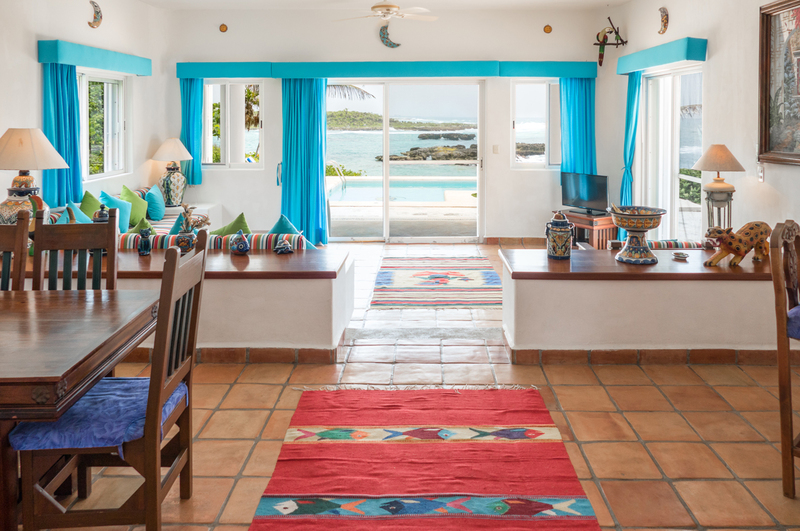 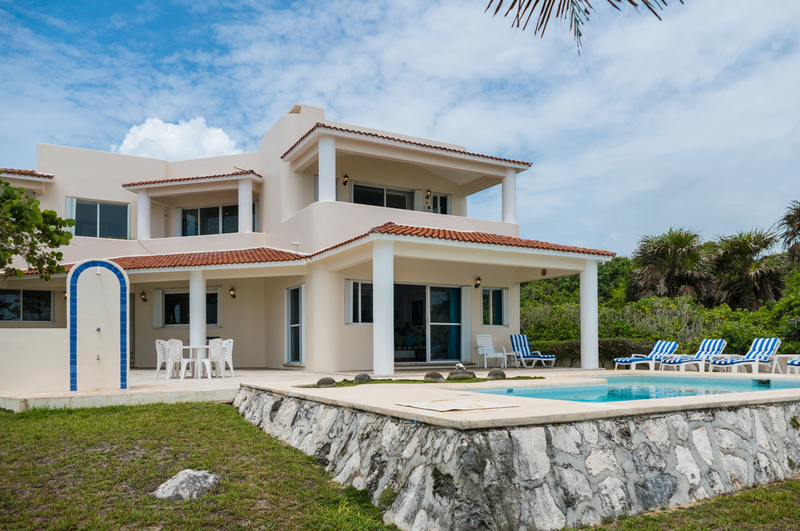 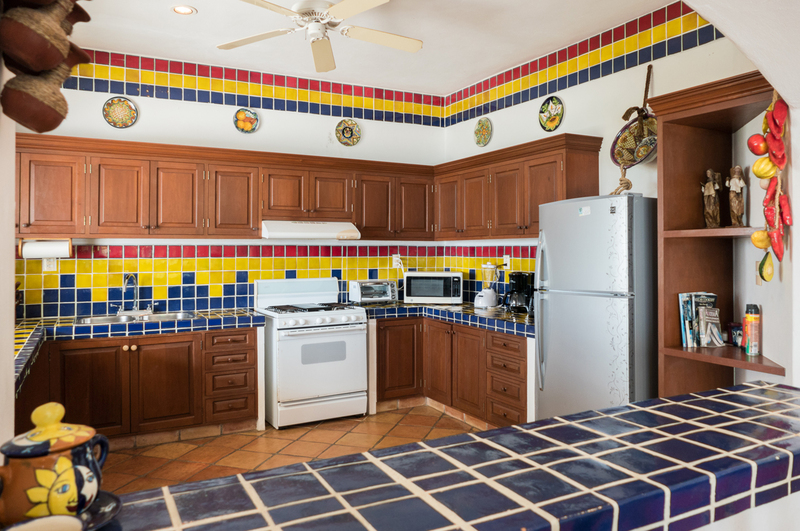 Suenos has 3 bedrooms, 3 1/2 baths, a beautiful circular living room overlooking the ocean, dining room, fully stocked kitchen, powder room and central air conditioning. 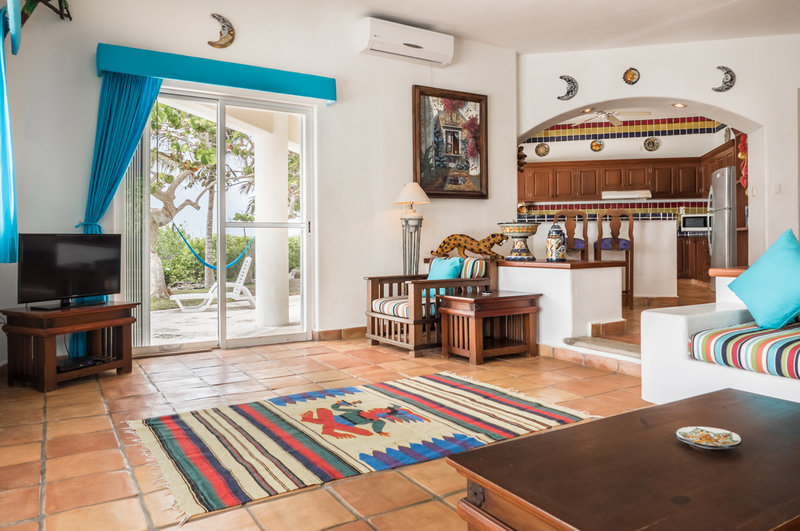 There is also a covered porch off the living room with a pass through from the kitchen and table and chairs for outdoor dining. 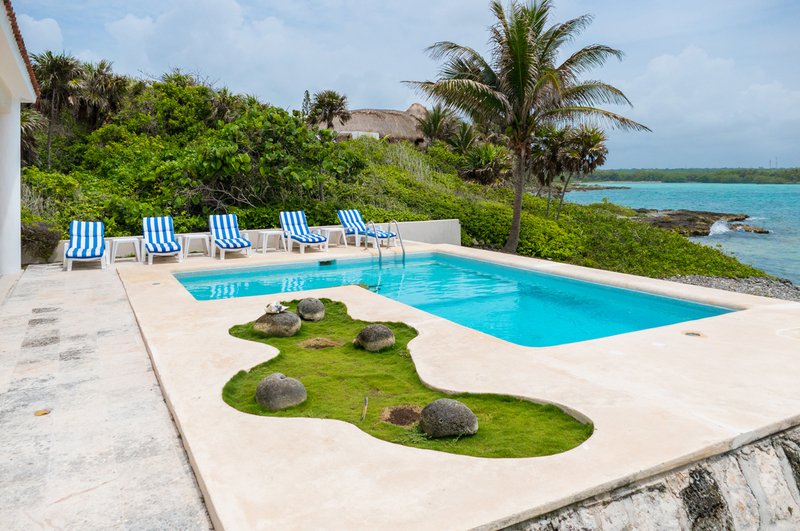 The landscaping is deluxe.... you’re in a tropical paradise when sitting around the pool enjoying a margarita. 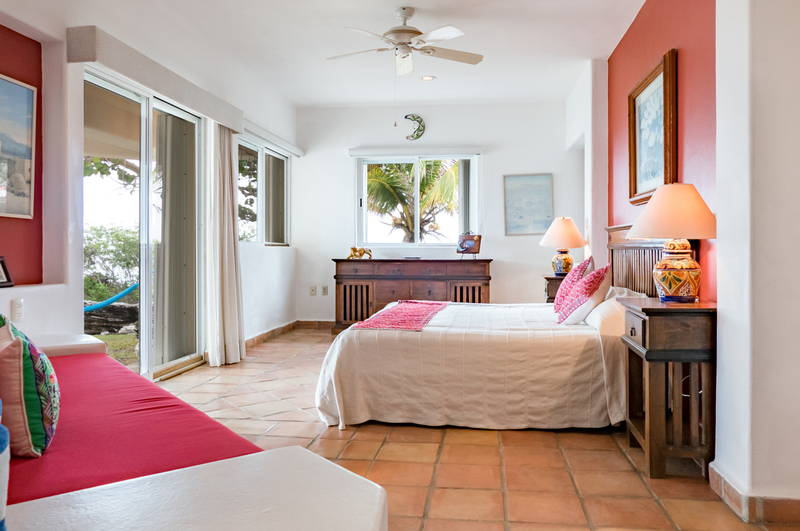 The downstairs master bedroom has a king-size bed and built-in sleeping couch. 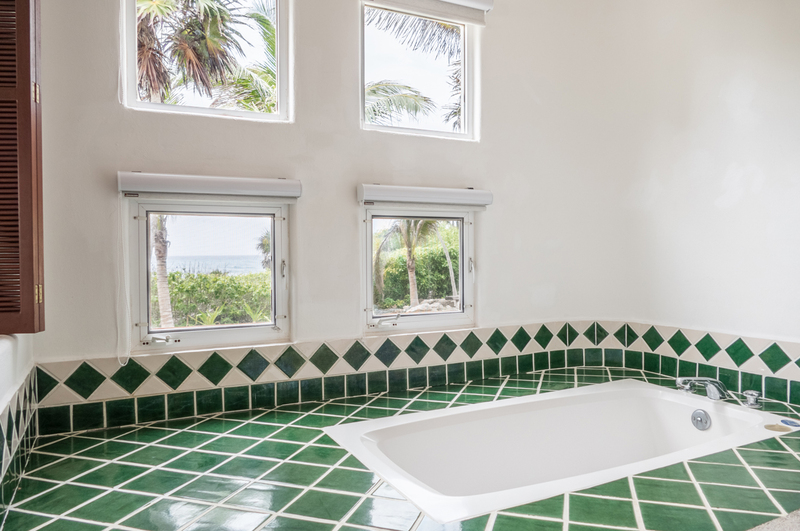 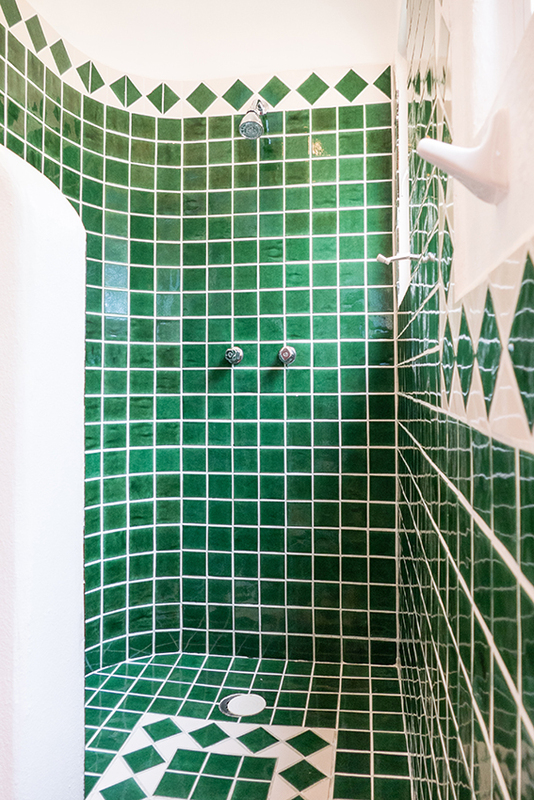 The master bath has a wonderful sunk-in tub and shower. 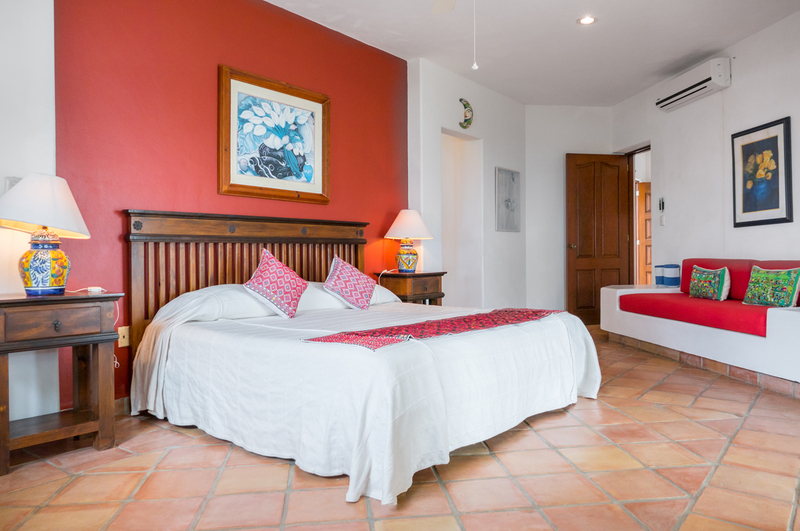 There are two upstairs bedrooms, each with a king-size bed and a spectacular domed brick ceiling. 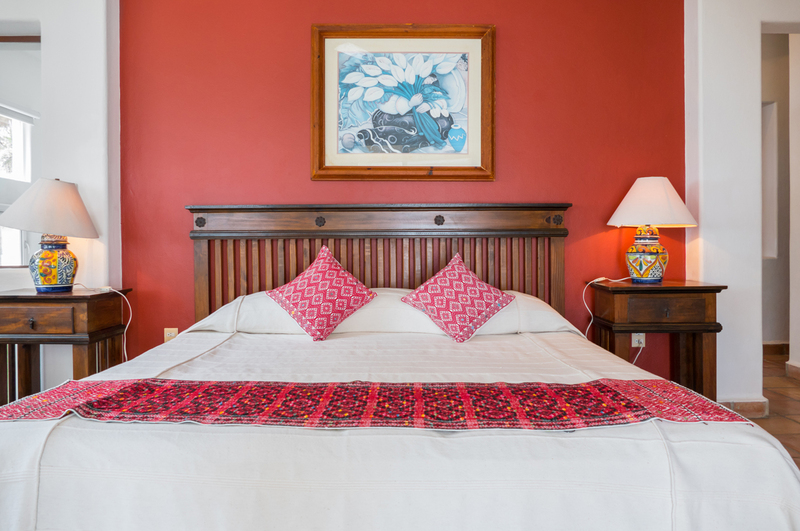 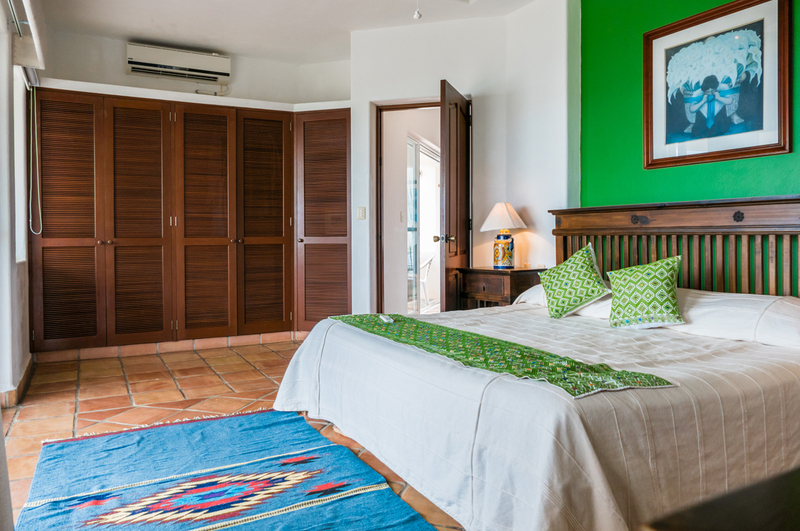 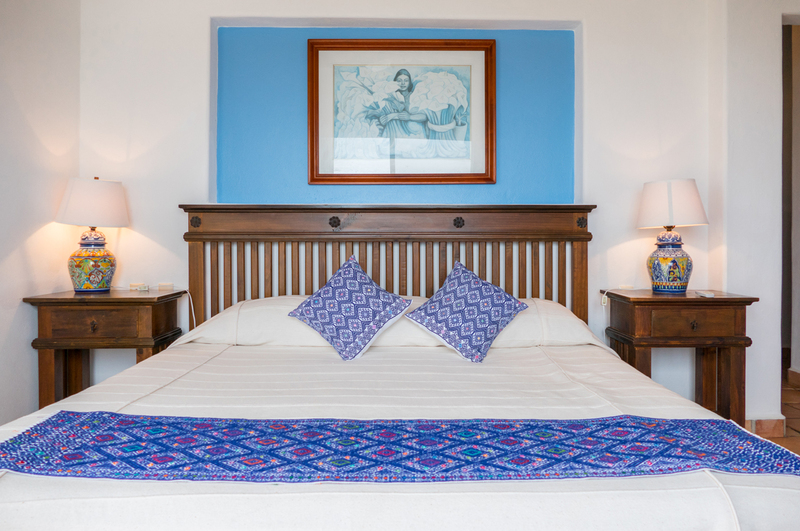 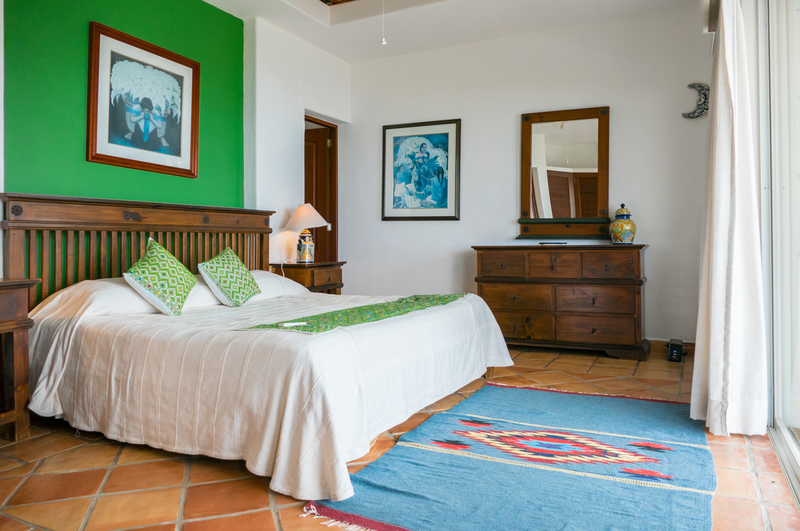 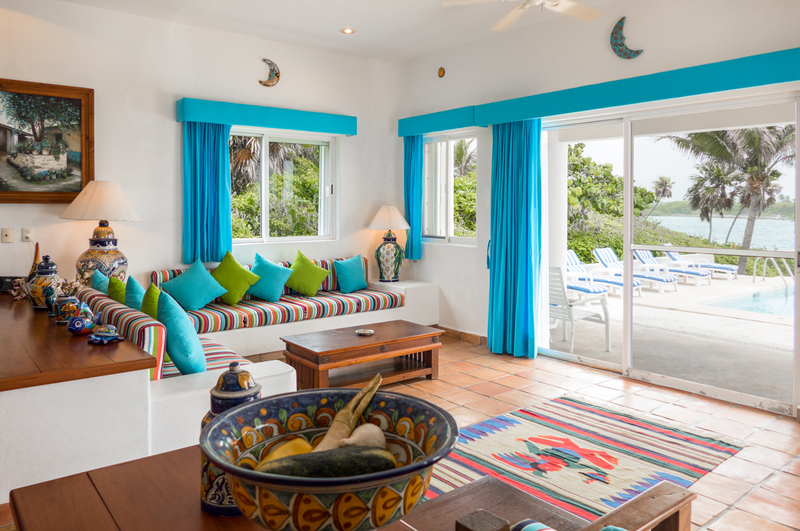 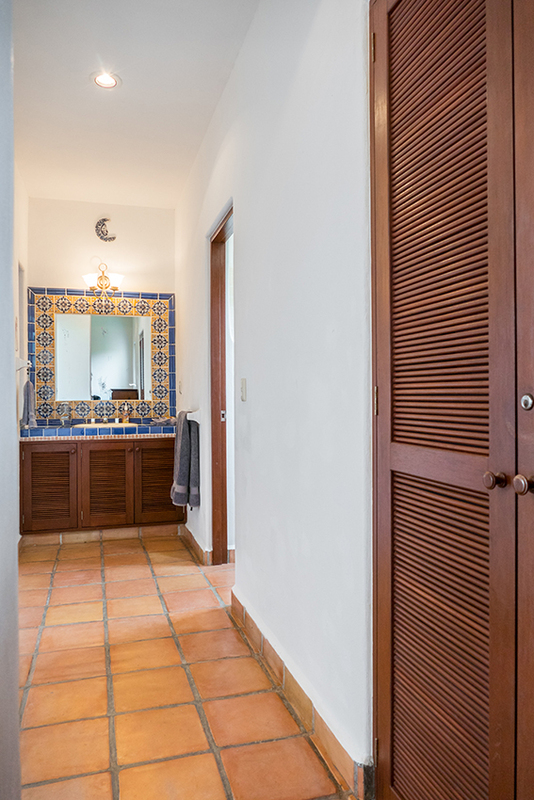 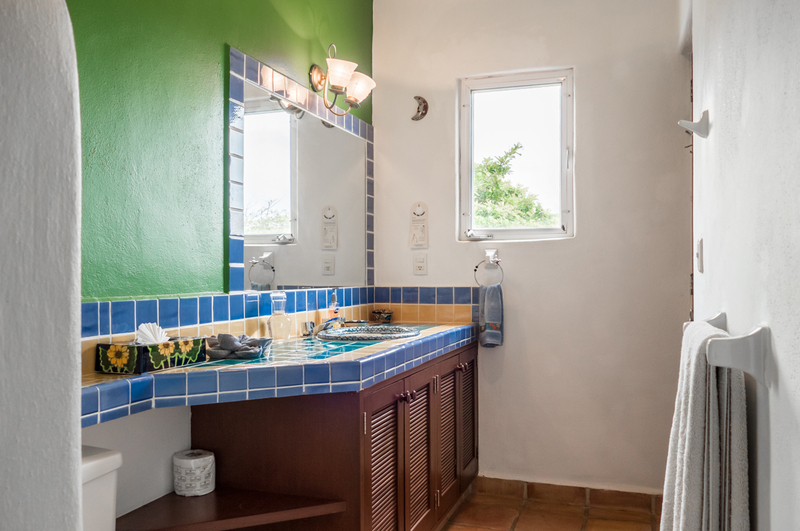 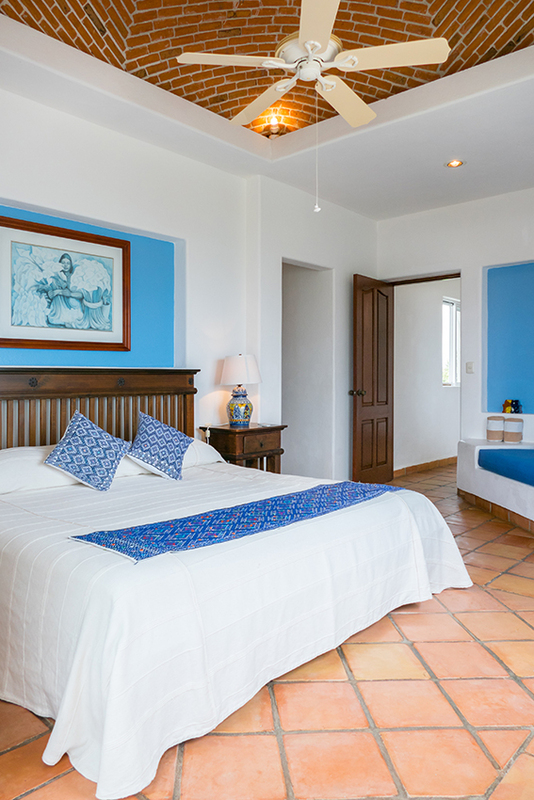 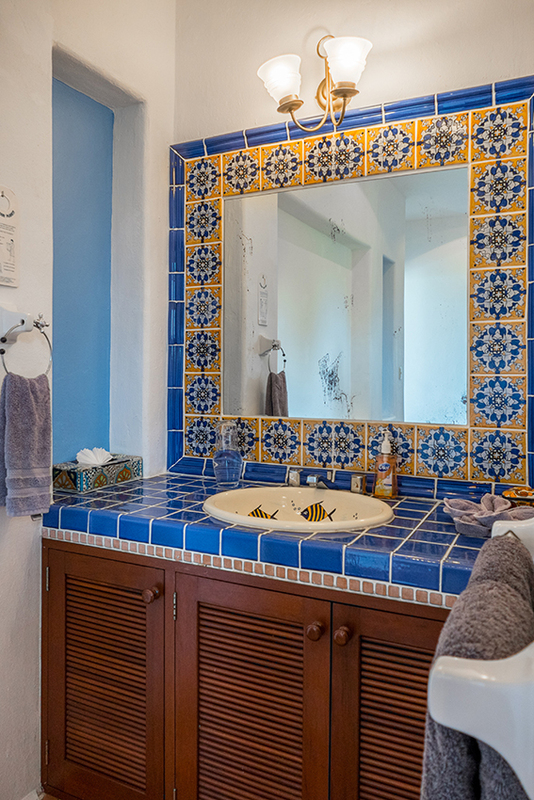 Each bedroom has its own private bath with shower and a private covered outdoor balcony. 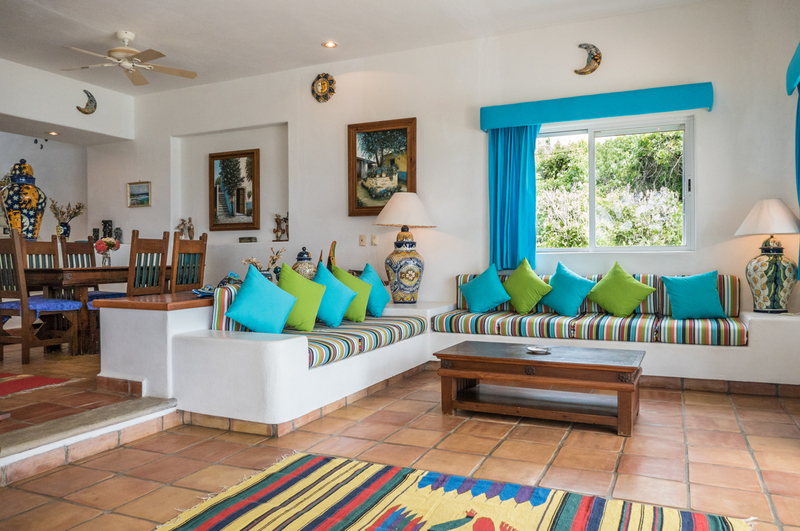 There are single couches in the two bedrooms, and two couches in the downstairs living room. 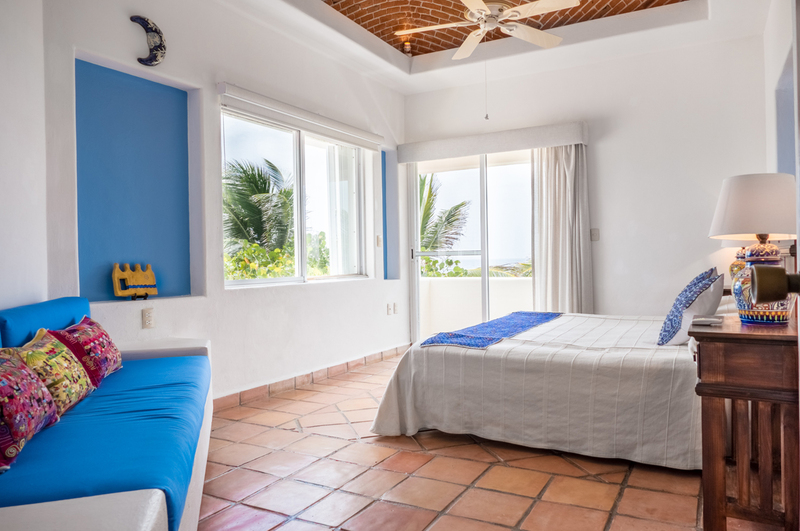 Between the two bedrooms upstairs is the family room with queen-size sofa bed and television...on the roof is a spectacular sundeck and observatory to observe the stars at night. 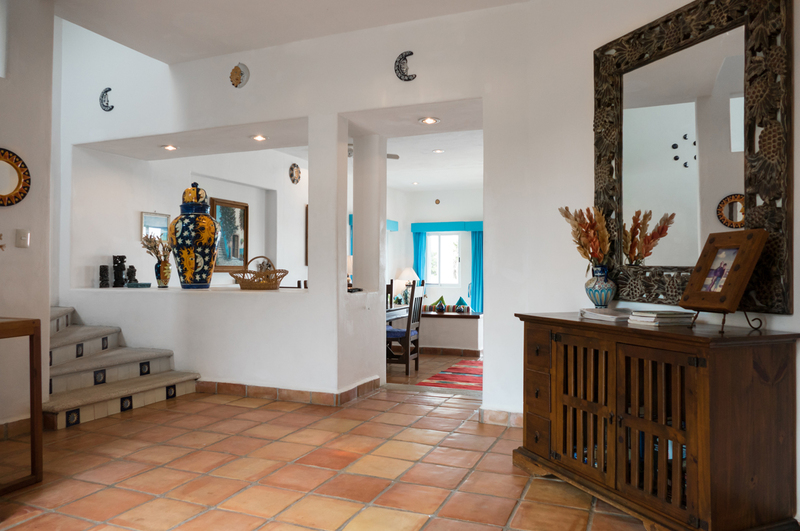 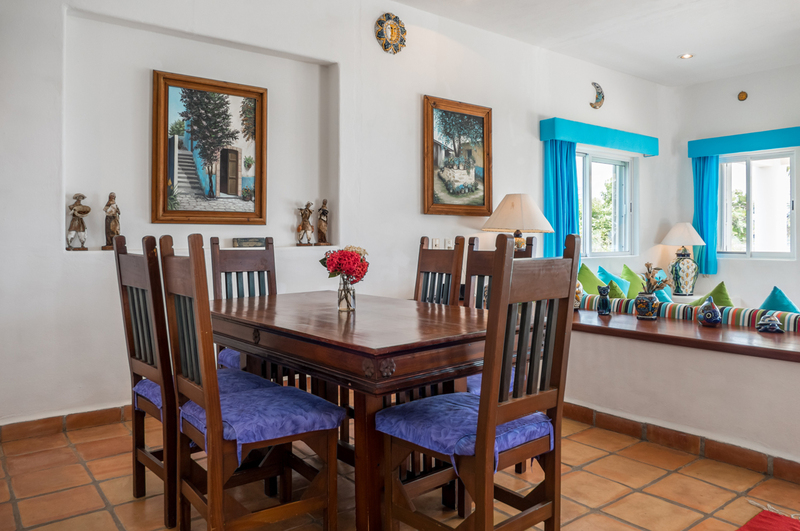 This villa is truly one of a kind...a "House of Dreams".